It's India in the 70s. A state of emergency is declared as the prime minister tries to cling to power. We follow four characters on their individual and shared journeys, as they grapple with life in their rapidly changing country. Rarely have I encountered a book which distils all the richness of life. It's intriguing, tragic, romantic, shocking and funny. I was captivated by the depiction of a country in turmoil, gripped by the drama surrounding the characters, and moved by the exploration of change and perception. 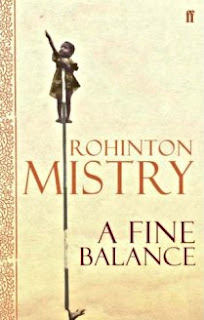 A Fine Balance is a marvellous book with many depths to explore. Last night the scales fell from my eyes. I realised that I'd grown satisfied by the adequate blockbusters of recent years. But then I discovered new meaning, a film bursting with life: The Dark Knight. 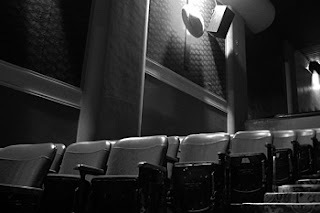 Here was a film that gripped, that scared, that provoked, amused and exhilarated. A film that talked about humanity. A film that confidently let its hero share the limelight. I even had a spiritual moment. That's right, a spiritual moment in the cinema. SPOILER ALERT - I'm going to give the game away, so stop reading if you haven't seen the film (and you should, you know). Harvey Dent, Gotham City's crusader for justice, is dead. The city has lost its hero, who took a stand against the criminal underworld. He turned psychotic before the end, crazed by grief, and attempted to kill Commissioner Gordon's family. What will Gordon and Batman tell their fellow citizens? All his good work will unravel; Gotham's criminals will walk free. The city will lose its source of hope. Batman takes the blame. He claims Dent's crimes as his own, and is reviled by the populace. The innocent takes the punishment for the guilty. And it struck me: that's what Jesus did. He allowed himself to be executed for crimes he didn't commit. The innocent takes the punishment for the guilty. Which leaves me - one of the guilty - amazed, thankful, overjoyed, and sad. But free.